On mobilization for World War I in August 1914 it again became the 1st Infantry Division No. 23, although it was for convenience referred to outside of Saxony as the 23rd Infantry Division or the 23rd (1st Royal Saxon) Infantry Division. The division was disbanded in 1919 during the demobilization of the German Army after World War I.
Hans Reinhard trat am 30. März 1908 als Fahnenjunker in die Kaiserliche Armee ein. Er kam dabei zum Königlich Sächsisches 8. Infanterie-Regiment "Prinz Johann Georg" Nr. 107. In diesem wurde er am 19. August 1909 zum Leutnant befördert. Das Patent wurde dabei auf den 20. August 1907 datiert. Vor dem 1. Weltkrieg war er als Oberleutnant beim 16. Königlich Sächsisches Infanterie-Regiment Nr. 182 im Einsatz. Im 1. Weltkrieg wurde er dann am 27. Januar 1917 zum Hauptmann befördert. Im Ersten Weltkrieg wurde er mit beiden Eisernen Kreuzen und anderen Orden ausgezeichnet. The 123rd Infantry Division initially fought on the Western Front in World War I, entering the line in the Aisne region in mid-April 1915. Later in 1915, it fought in the Battle of Loos. It remained on the front in the Flanders and Artois regions into 1916, and in July entered the Battle of the Somme, where it reportedly lost 6,000 men. It was transferred to the Eastern Front at the end of the month , where it went into the line near Lake Narač until November 1917, when it returned to the Western Front. It went into the line near Verdun until May 1918. It later fought in the Second Battle of the Marne and then returned to the line near Verdun. Late in 1918, it faced the Allied Meuse-Argonne Offensive. It remained in the line until the end of the war. Allied intelligence rated the division as third class and of mediocre combat value. 123rd Infantry Division (German Empire): Late-war order of battle The division underwent relatively few organizational changes over the course of the war. The 182nd Infantry Regiment was sent to the newly-formed 212th Infantry Division [Independent Division - Note: the 182nd went to the 216th Division in 1916, then to the 212th in 1917] in 1916 and was replaced by the 425th Infantry Regiment, which was in turn replaced by the 351st Infantry Regiment. Cavalry was reduced, artillery and signals commands were formed, and combat engineer support was expanded to a full pioneer battalion. The 123 Inf Div was a formation of the Royal Saxon Army (Königlich Sächsische Armee), the third largest of four German national armies. Since 1867, its units had been numbered within the Prussian sequence (like the Württembergers, but unlike the Bavarians) and reformed on the Prussian model. Nevertheless it retained to the end its own jealously guarded pool of manpower, separate officer corps and War Ministry; the latter closely followed the Prussian lead, but the interpretation and implementation of its regulations rested entirely in Saxon hands. There was also a separate Saxon General Staff, although (unlike Bavarians) Saxon staff officers were trained in Prussia. Saxon recruits swore their military oath of loyalty to H M King Friedrich August III, who as commander in chief (with the Prussian rank of Generalfeldmarschall) controlled the appointment of officers; imperial dominance was imposed via acknowledgement of the Kaiser as supreme commander in the military oath, and an imperial veto on Saxon appointments of corps and higher commanders. Administratively the Saxon Army, together with the Prussian Gardekorps, was supervised by the Second Army Inspectorate (2 Armeeinspektion) in Berlin. By 1914, only the most senior Saxon officers could remember genuine national sovereignty, and the romantic Pan–Germanism of younger generations was increasingly dominant. Saxon official history acknowledged the war of 1866 but emphasised that of 1870, and the upholding of Saxony's honour alongside its federal partners. Prussian military pre–eminence was acknowledged whilst the Saxons quietly prided themselves on the fact that their army was more highly cultured, more tolerant, better educated and less class–ridden than those of its peers. The distinct identity of the Royal Saxon Army was most apparent in its uniforms, which (at least since the Brunswickers lost their traditional black uniforms in 1886) deviated further from the Prussian 'norm' than any other contingent. This tendency was reduced by the general adoption of Feldgrau in 1910, but uniquely Saxon differences in cut, style and insignia were still so substantial at the outbreak of war that Saxon units can usually be identified as such in photographs. It was only with the gradual introduction of wartime economy uniforms and steel helmets that the Saxon Soldat became increasingly indistinguishable from the Prussian Musketier or Bavarian Infanterist. Although the Royal Saxon Army had fought alongside the Austrians against Prussian hegemony in 1866, it proceeded to distinguish itself as the XII Armeekorps (23 and 24 Inf Div) in the Prussian–led war of 1870–1. In the new German Empire, the necessarily moderate and pragmatic Kingdom (a constitutional monarchy with a Catholic monarch, predominantly Protestant and socialist–leaning majority population and Catholic Slav minority) enjoyed impressive economic and industrial growth. Bolstered by immigration from less prosperous German states, it was, by 1914, the most densely populated state in the Empire, with a population approaching 5,000,000. 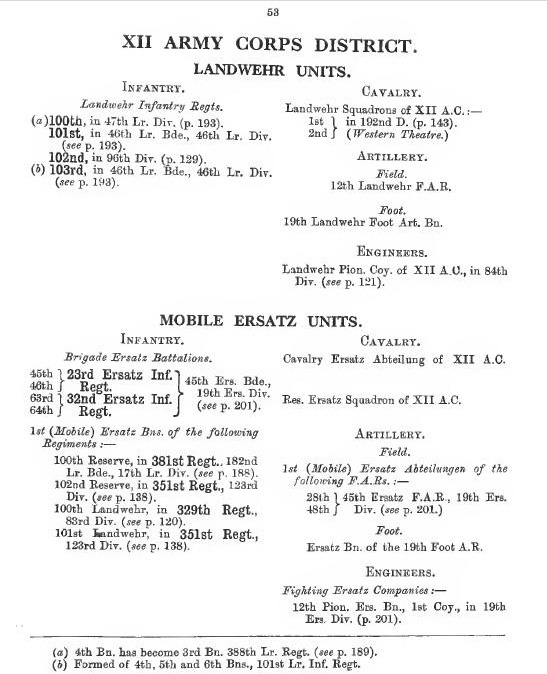 Its army had also grown dramatically, now comprising in peacetime XII (Dresden 23 and 32 Inf Div) and XIX (Leipzig 24 and 40 Inf Div) Armeekorps; the expansion of the artillery was especially spectacular, from one field artillery regiment (FAR 12) in 1870 to eight field and two foot (heavy) regiments before mobilisation in 1914. King Albert (who commanded with distinction in 1870–1 as Crown Prince) had used Saxony's share of French reparations to furnish XII Armeekorps with the (then) largest single barracks complex in Germany, at Dresden on the north bank of the Elbe. This Albertstadt was virtually untouched by the catastrophic bombing of 1945, and survives essentially intact today. The outbreak of war in 1914 brought no direct threat to the centrally located Kingdom, but the Pan–Slavist ambition of dismembering Austria–Hungary was recognised as a serious menace, and solidarity with Saxony's traditional allies and with its federal partners was widespread and sincere; the author's great–grandfather Arno Bierast was one of thousands who volunteered in Dresden that August. Upon mobilisation, the two regular corps were immediately joined by the XII Reservekorps (23 and 24 Reserve–Division). These three corps – initially accompanied by the Prussian XI Armeekorps) – were united under a Saxon staff as 3 Armee. Titular commander was the former Saxon war minister Generaloberst Max Freiherr von Hausen, although with the Prussian Generalmajor von Hoeppner (later the first commander of the German Air Force, the Luftstreitkräfte) as Chief of Staff. The advance of 3 Armee into Belgium was to be the last occasion that the Royal Saxon Army, or rather, all of its major components, took to the field as a single body. Already, during the Battle of the Marne in September - October 1914, XII and XIX Armeekorps had been sent to reinforce 2 and 6 Armee respectively; in an especially harsh blow to Saxon military pride, the elderly Freiherr von Hausen, who had served in 1866, was relieved of his command on 12 September due to illness and replaced by the Prussian General von Einem. 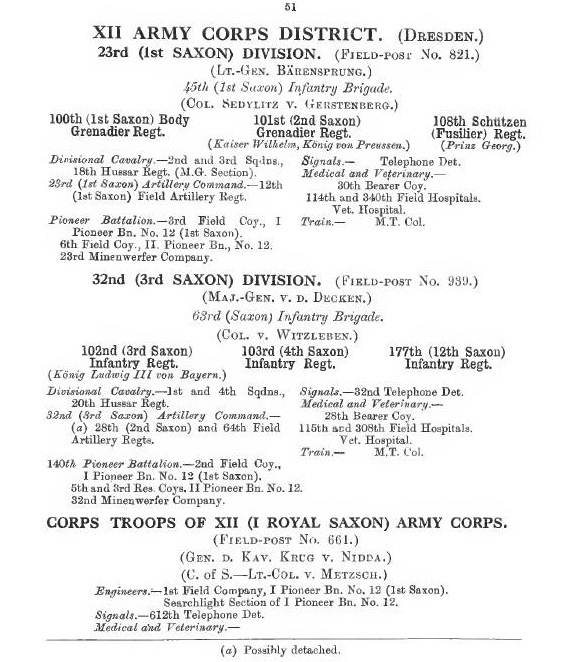 By the end of 1914, the dispositions of the major Saxon units had settled into a pattern which would remain largely consistent until 1916. 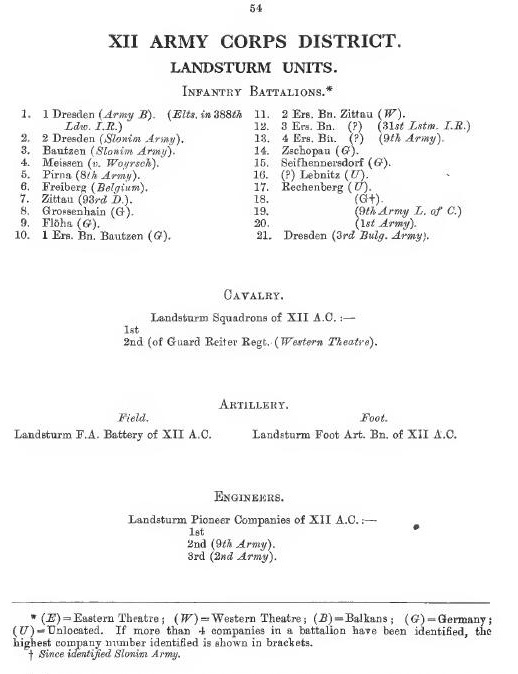 The great majority of the Saxon Army was still on the Western Front, with only 8 Cavalry Division, some heavy artillery and assorted small Landwehr and Ersatz units in the East. Following the Western Front from north to south, the first Saxon sector faced the Ypres Salient north of the Menin Road (Becelaere – Broodseinde), where the hastily raised XXVII Reservekorps – nicknamed 'Kinderkorps' due to its large proportion of young and under-trained volunteers – had remained after their terrible baptism of fire in October during the First Battle of Ypres. 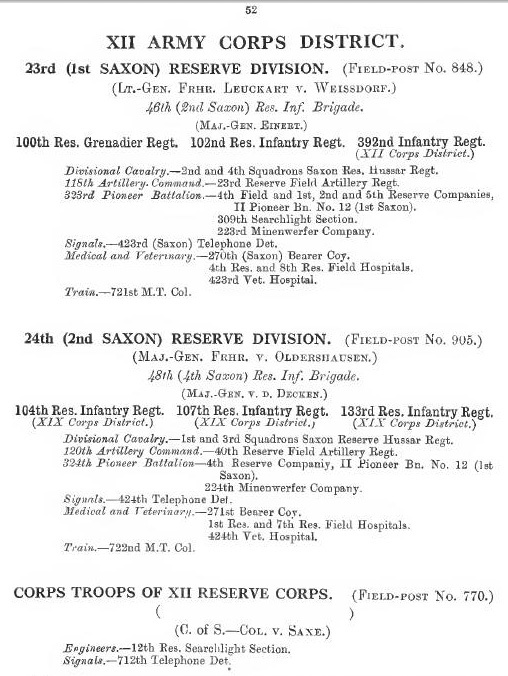 The corps staff, entire 53 Reserve-Division (northern sub–sector) and about a quarter of 54 Reserve-Division (southern sub–sector) were Saxon; the remainder were Württembergers. Immediately to their south was the Prussian XV Armeekorps (30 and 39 Inf Div), in which IR 105 served both in peace and wartime as the principal Saxon contribution to the garrison of the federally administered Reichsland Elsass–Löthringen. Across the Franco–Belgian border, XIX Armeekorps (based in Lille) held the line opposite Armentières from north of Ploegsteert Wood (40 Inf Div) to Bois Grenier (24 Inf Div); these were the Saxons who famously fraternised at Christmas 1914, and were substantially responsible for this area's British reputation as a quiet sector. The remaining Saxon sectors all lay opposite the French. 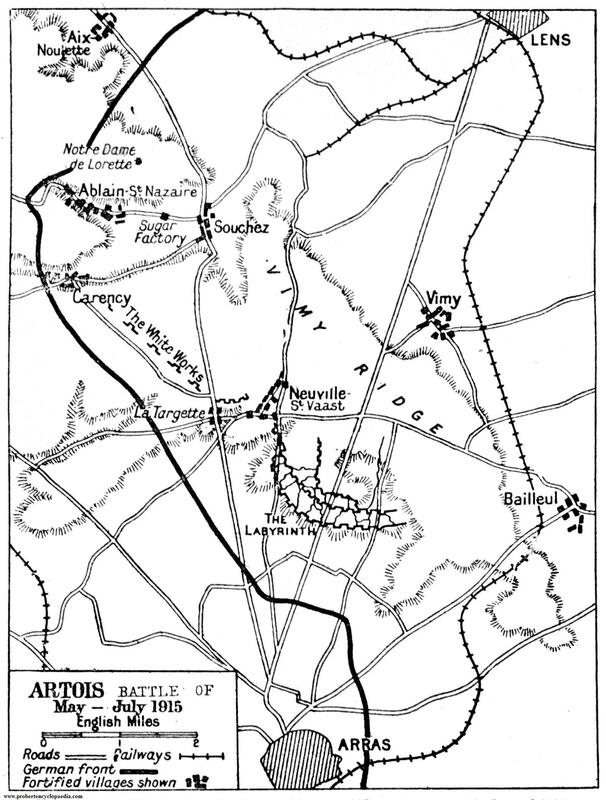 XII Armeekorps held the Aisne valley on the eastern end of the Chemin des Dames, from Craonne to Berry–au–Bac, with the Saxon 47 Landwehr–Brigade intermittently attached on the south-eastern flank at Loivre. 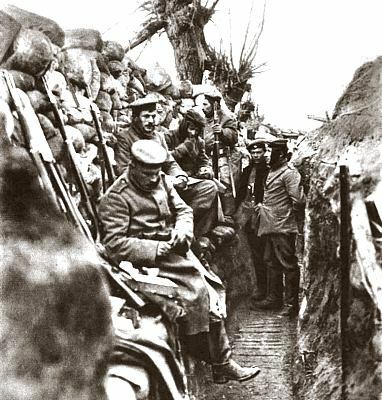 East of Reims, XII Reservekorps held the front Moronvilliers - Auberive - St Souplet. 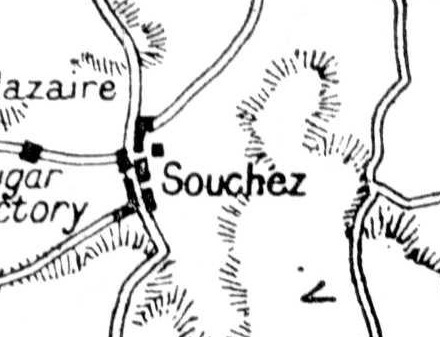 Finally 19 Ersatz–Division, mobilised in August from trained reservists, but incompletely equipped and provisionally organised, held the line Lagarde - Blâmont - Cirey–sur–Vezouze in the Vosges southwest of Saarburg. By order of the Rifle (Fusilier) Regiment " Prince George " No. 108 there appeared as witness Corporal Schmieder of the loth Company. As to Person : My name is Hermann Walter Schmieder. I am 20 years of age ; of the Evangelical-Lutheran faith ; gardener by calling ; now corporal in the 10th Company. The witness was sworn in accordance with regulations. Signed : Lassow, Lieutenant and Ofiicer of the Court. 1st Lieutenant Grau, as Officer of the Court. Acting-Sergeant-Major Limbacker, as Clerk of the Court. "The Front," February 28th, 1915. As to Person : My name is Franz Samuel Ludwig Francke. I am 51 years old; Protestant; Major-General and Regimental Commander, Infantry Regiment No. 182. As to Case : I confirm that in Dinant a civilian who wore a white band with the Geneva Cross was brought to me by a corporal and two men of the 12th Company. The party assured me that they had seen an arm with a Geneva brassard project from between the shutters of a window on the first floor of a house distant about thirty paces from where I was, and that it had discharged a pistol into the street which was thronged with soldiers. Several dead and wounded soldiers were lying in the street who could only have been hit from the houses or straight through from the houses on the riverside. The soldiers stated that they had broken into the house and had fetched out the occupants, among whom was this man. The civilian explained to me, without being asked, at first in hardly intelligible German, and then in French when I addressed him in French, that he was a doctor, and that he had protected the women who were in the houses, and had not fired on the soldiers. I thereupon ordered him to immediately bandage one of the wounded lying there. On his assertion that he had no bandages, I told him to fetch some bandages from the pharmacy which was situated directly behind me. I had already wondered that he had not taken this simple step if he was really a doctor. As I was very much occupied I could not watch him further myself, but ordered a corporal and one man to accompany and keep watch on the supposed doctor. Some time after, the corporal came to me and reported that, as they entered the ground floor of the pharmacy, the doctor had suddenly run into the rear part of the house and not into the room used for the pharmacy on the street front, whereupon they had brought him out and shot him. Signed : Grau, 1st Lieutenant and Officer of the Court. Signed : Limbäcker, Acting-Sergeant-Major, as Clerk of the Military Court. President of the Military Court, Naumann. Secretary of the Military Court, Schwarzbach. My name is Johann Georg Saring. I am 22 years of age ; Protestant ; locksmith by trade ; corporal, 12th Company, Infantry Regiment No. 182. On the afternoon of Sunday the 23rd August, 1914, I saw in Dinant the arm of a man thrust itself out from the first storey of the pharmacy. The hand held a pistol. The pistol was fired at us soldiers. The arm was wearing, as I plainly saw, the Red Cross band. I burst the door in with a pick-axe ; there came out children, women, and an elderly man, and, last of all, the man with the Red Cross band. This man was taken to Colonel Francke, whilst the other civilians were detained in the corner of a house. We then rushed towards the church in which the inhabitants had been brought together. As I know for certain, we were fired on from the tower of the church. This could only have been done by the inhabitants ; enemy troops were not to be seen the whole of the day. La Malmaison, December 5th, 1914. My name is Emil Erwin Miiller, 26 years old ; Protestant ; fruit grower. On the afternoon of August 25th, 1914, in company with Non-commissioned Officer Fehrmann, I saw a number of bodies of civilians and that of a woman lying in front of a house in a cross-street in Dinant. We entered the house. In the room on the right there lay an officer—a lieutenant of Infantry Regiment No. 182—a sofa-cushion under his head ; his head and a part of his chest were covered with a white cloth. All three civilians wore the uniform of Infantry Regiment No. 182. In the adjoining room there lay stretched out dead a non-commissioned officer and five privates of the same regiment. I lifted up the cloth covering the lieutenant and saw that he had received a shot in the head. I did not see any further injuries to the officer. One of the privates who lay beside the lieutenant had his trousers unbuttoned in front so that one could see his body. This soldier had a shot in the lower part of the body. Extending from the larynx to at least 10 cm. to the left was a cut which was bloody and the edges were probably 1 cm. apart. The blood had flowed down towards the side. I am convinced that it could only have been a wound from a cut. In the other room the trousers of one of the soldiers were unbuttoned so that one could see the body. This man had a cut or stab wound in the lower body about 3 cm. wide. The clothing of the remaining soldiers showed no disarrangement, they all bore shot-wounds. The scene conveyed the impression that the officer, the non-commissioned officer and the men had been attacked in their sleep by the inhabitants in that quarter. I infer this from the fact that the officer had a sofa-cushion and the others either a cloth or a knapsack under their heads. The rifles stood in a corner. In the house with Fehrmann and myself was also Pioneer of Reserve Kretzschmann. Signed : Emil Erwin MÜLLER. Signed : Naumann. Signed : Schwarzbach. The first month of the Allied offensive on the Somme front closed quietly. The British and French forces had every reason to feel encouraged over their successes. In the two thrusts since July 1, 1916, they had won from the Germans nearly twenty-four square miles of territory. Considering the extent to which every fraction of a mile was fortified and defended, and the thoroughness of the German preparations to make the district impregnable, the Allied gains were important. As a British officer said at the time, it was like digging badgers out of holes—with the proviso that every badger had machine guns and rifles at the hole's mouth, while the approach to each was swept by the fire from a dozen neighboring earthworks. 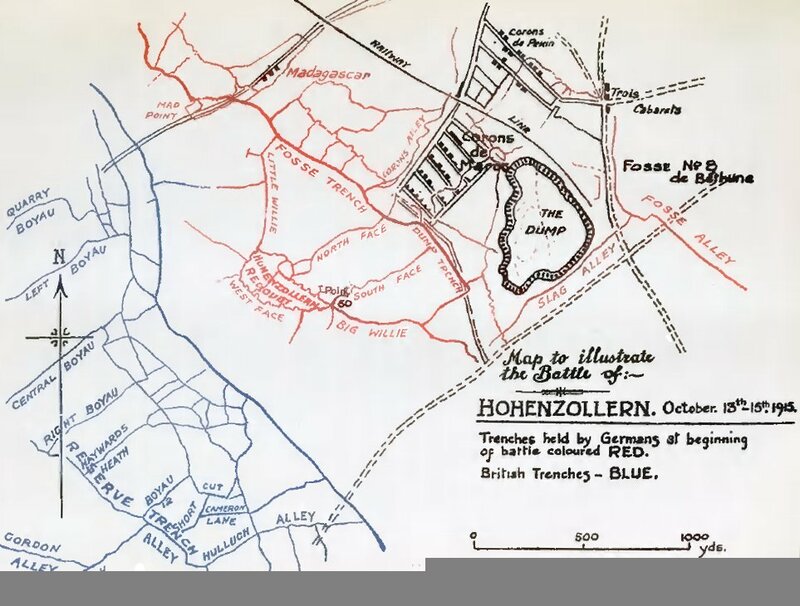 It was estimated that in the first month of the Allied offensive on the Somme the German casualties amounted to about 200,000 men, while the Anglo-French forces lost less than a fourth of that number. The Allies claimed to have captured about 13,000 prisoners and between sixty and seventy field guns, exclusive of machine guns and the smaller artillery. "Saturday, 8.8.14. Started at 12.15 P.M. Marched without a halt till 7 the next morning to take part in the fighting at Novion [Nouvion]. It lasted till 2 P.M. Village stormed and looted. "Monday, 31.8.14. At 7 marched with nothing to eat. We passed through the town of Rethel, where we halted for two hours. Wine and champagne in abundance; we looted with a will. "Friday, 4.9. 14. Noon. We cooked, boiling and roasting; wine and champagne in abundance."